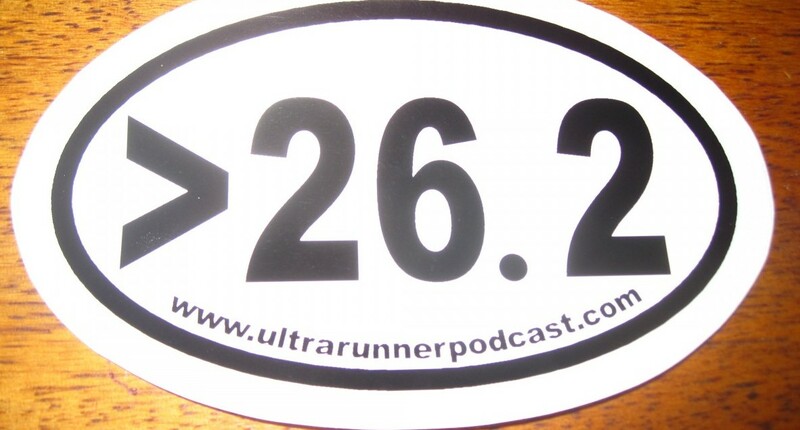 Justin/IRF covered all the trail and ultramarathon results from the weekend right here. Here are Mario’s thoughts on what went down in Houston. What he left out was the abysmal TV coverage and how ABC missed nearly every story in just over an hour. Quick chat with Jim, post Houston. And another big shoutout to Devon Yanko for running her own OTQ at Houston. While she didn’t PR, she says she ran a PR effort in tough conditions and that was good enough! We’ve got UROY and FKTOY…can we also have a FPOY (Favorite Person of the Year)? Because Claire here wins all the way. She’s go an obsession with drawing Strava weiners and seems to have a pretty great sense of humor. Speaking of FKTOY, Candice Burt and Joe Grant took the number three positions. New to the ultra world? Koop has a 4 year plan that doesn’t include “Run first 50k, then a qualifier, then put in for Western, then whine that you didn’t get in” in the first twelve months. Much was made of Michael “The Fruitarian’ Arnstein‘s conviction for forgery last year, but I only recently learned of the details. While I’m nowhere near an attorney, it sounds like he made a few bad decision when his family business was held hostage and that it’s not as egregious as originally reported. Mike started his sentence last week. Attorneys out there, what do you think? Semi-Rad: Air fresheners based on real outdoor odors. Can we add a few? The smell of the inside of a water bottle during the last few miles of a race where it’s got a mix of Perpetuem, lemon lime drink, and cola? The car the next day if you forget to pull the aforementioned shorts out and get them in the wash.
Bracing and mindfulness…two things we use in running that have huge upsides in real life. Mario’s Morning Shakeout. I agree with Mario about the weirdness of the Asics announcement. That’s a company that’s always been strange to me…one full of missed opportunities. I’d venture that many of us wore Asics when we started running, right? So why’d we change? Sure, Asics has largely stayed out of the MUT space, but to me they’ve had a hard time with messaging and stepping out of the “traditional running shoe” model. We moved on, they did not. Haha! Runner’s World homepage just one big affiliate link. 15 Responses to "Ultramarathon Daily News, Tuesday, Jan 22"
It sounds to me like he didn’t really do anything morally wrong. Huge waste of taxpayer resources by a grandstanding government attorney. He was getting extorted by overseas con artists and did what he saw at the time as the only thing he could do. Google, FB, yelp and all the idealistic software companies would rather save a few $$ than have to deal with false reviews on their platforms. Review sites like yelp are nothing but extortionists. They are notorious for blocking/hiding good reviews if you don’t purchase their crappy advertising. Google is indifferent and just doesn’t want to spend $$ on labor to manage fake reviews. They’d rather spend the money on paying people to sell adwords. These software companies that like to talk about all the good they do are nothing more than the newest iteration of profit driven monopolies like we had during the industrial revolution. There is no evidence that companies like Yelp use extortion. Some business owners don’t like Yelp’s algorithms, but their complaints don’t amount to actual evidence of extortion. I personally know a former Yelp salesperson who confirmed they did not penalize businesses who don’t buy advertisements. I do understand why google would be reluctant to remove listings – you don’t want to remove negative reviews just because a business owner doesn’t like it. That would be unethical. In Arnstein’s case, there was actual defamation, and a court order to remove it, so in this case, they clearly should be required to remove the listings. The problem is that the court orders only force them to block a defined list of URLs, which is absolutely insane. They need to cast a broader net, and order them to remove all links to the defamatory content, rather than enumerating specific URLs. I do feel bad for Arnstein; sounds like he was in a tough place. But forging court orders is a line that can’t be crossed. Wow, a Yelp salesman personally told you they don’t lie. There is plenty of evidence. Source: I am a small business owner. I personally know several business owners who have had good reviews hidden after they wouldn’t pay for ads from shady yelp salesmen. I’ll trust business owners over yelp salesmen. *Former* Yelp salesperson. As in, someone who would both have knowledge of their sales tactics, but has no skin in the game. And no, your friends who have had good reviews hidden is not any evidence of extortion. All businesses have good and bad reviews hidden; it’s a well-known fact that Yelp has an algorithm to hide some reviews in order to prevent businesses and customers from abusing the review system. It’s clearly not perfect, but there’s still no actual evidence that they’re purposely hiding reviews to punish or reward companies depending on whether they advertise. You have your opinion that is based on the word of a former salesperson for Yelp. I have my opinion that is based on my own experience running several businesses, dealing with Yelp salespeople, and knowing many other business owners that have had similar experiences. Agree to disagree. I was always very inspired by Arnstein’s athletic accomplishments (and diet!). He forged the signature of a federal judge and that is a very, very big deal. We could all debate the morality of doing so, but he should have known better than to do something so foolish. I am assuming he did indeed know better but did it anyway because it was the easier and less expensive route to get his desired outcome. So basically he cut a major corner in the legal process and broke the law while doing it, and then openly admitted/bragged about how he did it – which is what got him caught from my understanding of the case. There are myriad lessons here for anyone to chew on, from a moral standpoint on one hand to a practical standpoint (i.e. how to deal with trolls, not brag about criminal behavior, etc). Except forging a judge’s signature on a fraudulent court order! Nothing morally wrong with that? Because the Federal government is never morally wrong…. He was doing what he had to do when getting screwed over by a busted system. Maybe not the best choice but he wasn’t stealing or harming anyone. He was trying to protect his business/livelihood. I like how this blog and “the communtiy” are all enraged when Runner’s World publishes a tongue-in-cheek article about race banditting and somehow folks here manage to rationalize forging a federal judge signature. LOL. I second the nomination of Claire for FPOY. Wicked sense of humor and, oh yeah, amazing runner. Loved her recent Zion Traverse. Did I miss the pic, though? Another ultra-guy/friend of the coconino cowboys Tommy Rivers Puzey finished 2:20 at Houston. Made a good series of instagram posts about how out of it he was in the last 5k (https://www.instagram.com/tommy_rivs/?hl=en), and his finish line video shows him collapse as he crosses the line (https://www.youtube.com/watch?v=Tv2I5EM-tuM&t=1h22m23s). Talk about leaving it all out on the course! Sounds like a tough situation for Arnstein. This is no help to Arnstein, but Section 230 of the Communications Decency Act and related issues about private regulation of free speech are among the most challenging areas of the law right now. Similar problems are affecting Facebook, Patreon, and lots of others. The question is how do private companies police users’ speech in their platforms, and at scale? And frankly, there’s no good answer to the question yet. According to a recent NYT article, Facebook has 15,000 people worldwide whose sole job it is to review content and try to ensure that it complies with company policies, which are fairly black and white, and they’re still failing at the task and getting raked over the coals in the media for it. The sheer scale of these companies makes the problem of reviewing what is true, what is false, what is right and what is wrong on their platforms effectively impossible. And when they do make these decisions, since they’re private companies and protected by Section 230, they’re a black box with little or no process to appeal a decision you feel is unfair. Sounds like Arnstein was feeling the brunt of that. That said, if you forge a judicial order, regardless of the extenuating circumstances, and you get caught, you’re going to go to jail. That action strikes at the heart of judicial authority, and judges tend not to be overly sympathetic to such things. His sentence was fairly light considering what he did. I agree on both. A funky portion of the law right combined with gigantic corporations without an interest to do the right thing, and an equally bad decision made for disastrous consequences. I wasn’t familiar with the CDA. Thanks. The coverage of the Houston Marathan was the worst! Embarrassingly bad.